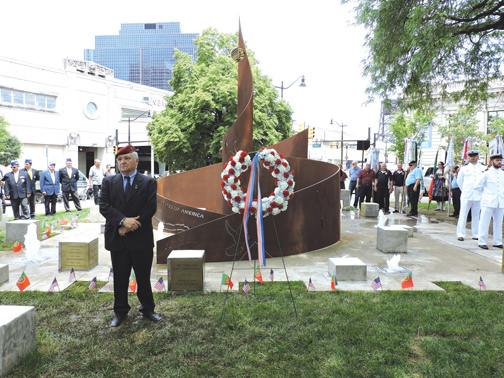 A heart-warming beautiful, patriotic ceremony is how we describe the Dedication Ceremony to the Portuguese-American Veterans Monument this past Saturday, June 2 at Ironbound’s Peter Francisco Park. 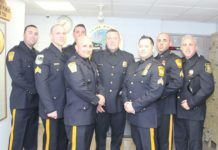 It was a scene of absolute patriotism, pride and dignity as civilians, community leaders and representatives of the military convened to witness the unveiling of the stunning monument which will grace the Park alongside such monuments at the monument to the war hero Peter Francisco, the monument honoring all veterans of American wars, and the monument to the Immigrants who came to the Ironbound. • For more details, please Subscribe to our digital edition, or buy the June 6, 2018 paper.